If there is a somber gloom over our faces recently, it’s because one of our favorite shows, NBC’s Community, had been put on hiatus before Xmas. With it’s uncertain future dangling between the fingers of US corporate overlords twitter prayers and online campaigns were being started everywhere with the “Six Seasons and A Movie” Battle Cry being heard in every corner of the interwebz. 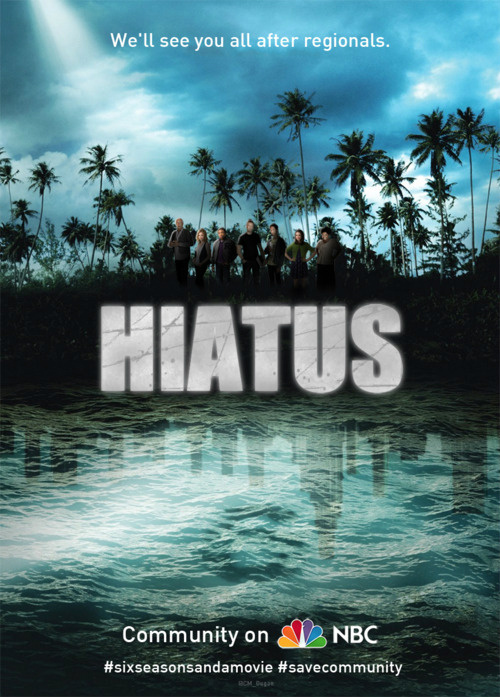 But we can all take a sigh of relieve as the hiatus is coming to an end and Community fans are rallying to get newbies to watch the show. The Trailer is frankly amazing and made me laugh more than anything since Community left our screens and just re-inforced why I love this show so much. And show creator, Dan Harmon, mentioned that it was a different experience writing and shooting the episodes in a bubble disconnected with the rest of the world and getting constant feedback from the fans that love the show. Looking at some of the shots in the trailer, we can see that the team has gone all out. Community is back on screens March 15th and get your friends and family to watch it, bribe them , annoy them, blackmail them, I don’care, just do it!